“This [film] is maybe more political than the others,” says David Yates, the director of Fantastic Beasts: the Crimes of Grindelwald, in an interview to POTTERISH. He refers to the villain, Gellert Grindelwald, who preaches wizarding supremacy over muggles and, unlike Voldemort, gathers followers through his speeches. “Grindelwald has persuasion power. He’s seductive and charismatic”, says the producer David Heyman. “He’s an absolutist. He sees only one way [to solve the problems] and makes a persuasive speech about it. Not a speech which convinces me, but you can understand why some people believe it, and it’s scary”, he analyses. 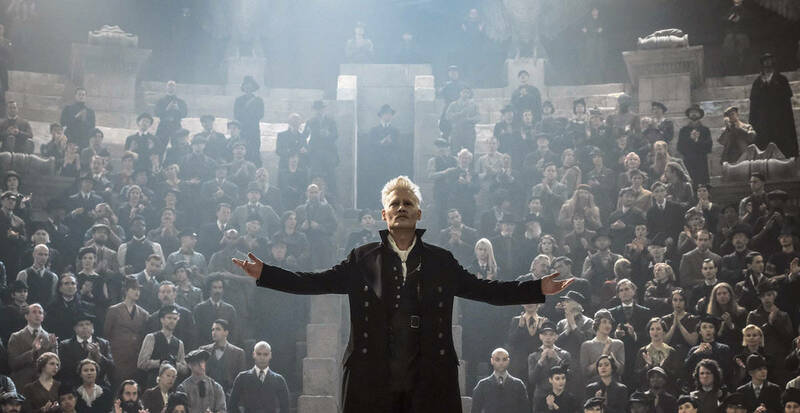 Watching his speeches, done in the underground of a cemetery, the viewers can compare it to their reality and see similarities between Grindelwald and some political and religious leaders. The director guarantees the villain wasn’t inspired by one specific person in the political scene – like Donald Trump, whom screenwriter J.K. Rowling described on Twitter as “worse than Voldemort”. “Instead of a direct political counterpoint, this film is about matters that defy and shake values of tolerance and diversity celebration. It’s about fear rising and persecution to what’s different,” says Yates. Fantastic Beasts: The Crimes of Grindelwald opens worldwide on November 16th. Pedro Martins is a journalism student and editor-in-chief of Potterish. He was invited by Warner Bros. to travel to England and visit the set.